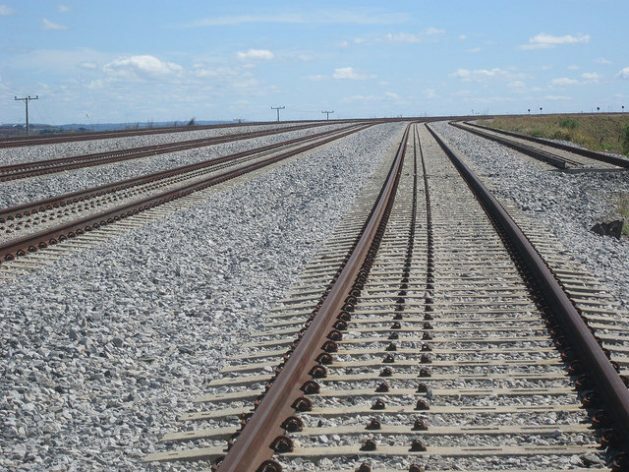 ANÁPOLIS, Brazil, Jan 6 2018 (IPS) - The rails have been laid – thousands of km of rails deteriorating due to lack of use, to the despair of those who believe that a country as vast as Brazil can only be developed by means of trains. Brazil built 37,000 km of railways up to six decades ago, but their use has declined since then. Today about one- third of the network is abandoned and another third is underutilised. This stands out in the North-South Railway (FNS). Its longest stretch, in Brazil’s geographical centre, was inaugurated in May 2014, but it still does not operate regularly in this country of 8,515,770 square km and 208 million inhabitants. 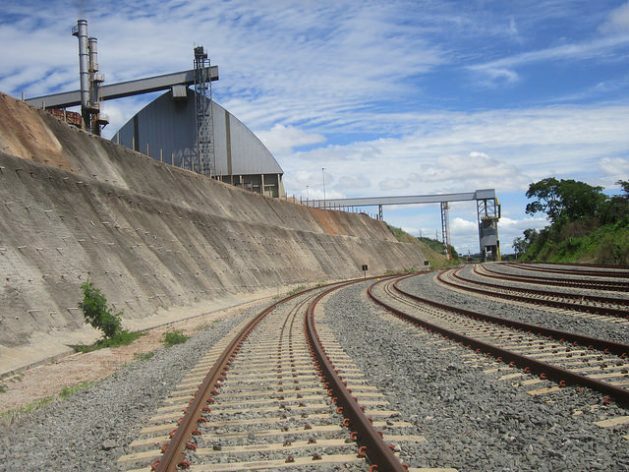 The 855-km FNS, which runs from the north-central state of Tocantins toAnápolis, 130 km from Brasilia, will be extended by an additional 682 km – a project that is in the final phase of construction and will reach Estrela D’Oeste, in the interior of São Paulo, the most developed state in Brazil. “It’s a mess, a series of errors and bottlenecks,” according to Edson Tavares, former superintendent of the Anapolis Dry Port and transport consultant. With terminals far from the sea, the FNS depends on more railways to become viable, he told IPS. The Dry Port is an inland port or multimodal logistics centre or terminal connected to seaports by rail. The chosen route of the FNS includes “curves that make it necessary to cut in half the intended speed of 80 km per hour” and moves away from busy loading areas such as mines and cement factories, complained the expert, who believes it will take “much more time” for the new railway to take off. Construction began in 1987 and suffered frequent interruptions and allegations of corruption. The first section, to the north,did not start operating until 2013, and the concession is held by VLI, a logistics company controlled by Vale, the world’s largest exporter of iron ore. This 720 km-stretch is able to operate thanks to having “right of passage” through the Carajás Railway, which reaches the Port of São Luis, through which Vale ships iron ore from the Carajás range, in the north of Brazil. This makes it possible to transport to a port soy and other products from Tocantins, a state in the northern region of Brazil, which contrasts with the other six northern states because only nine percent of its territory is in the Amazon rainforest and the rest in the Cerrado, the Brazilian savanna. But the southern stretch of the FNS has been left unresolved. “With the railway operating, Anápolis will become the main logistics centre in Brazil, since it is also the kilometre zero (start) of the Belém-Brasilia highway, crossing two other national roads, and it will have an important cargo airport which in its final phase of construction”, said Vander Barbosa, secretary of Development and Agriculture in the city government. That city in the state of Goiás also has the most important industrial district in the west-central region of Brazil, with a pharmaceutical hub of 20 companies, a car-making and engine factory run bySouth Korea’s Hyundai and food, beverage and construction materials firms. Many of these companies produce their own heavy and bulky goods for railway transport. The Granolcompany, for example, processes soybeans and was the first of the few companies that used the new railway to sporadically export their bran. Since its plant is right next to the rails, it can load the trains through a short pipeline that carries the bran directly to the wagons. Biodiesel is another of its products transportable through the FNS. Anapolisis also set to be a storage and shipment point of grains for much of the central-west, the region with the highest agricultural production, especially of soy, corn and cotton. For this purpose, the FNS Intermodal terminal still has plenty of available space. The military defense equipment industry is also strong in the city, which has a strategic air base for the protection of Brasilia, 130 km away as the crow flies. The idea that transport routes, whether roads or railways, “attract development” does not always automatically come true; “it requires other policies in an integrated manner to generate economic growth,” said Lilian Bracarense, a professor of post-graduate studies in Regional Development at the Federal University of Tocantins. “The Central-West, North and Northeast regions of Brazil have a lack of infrastructure, but that does not always justify private investments in the sector, as occurs in the South and Southeast, where there is an established demand,” she told IPS. “The vicious circle that without demand infrastructure is not built, and without infrastructure demand is not generated”, according to the researcher who has a PhD in transport, seems to be broken by the government decision to introduce the railway that runs across the centre of the country from north to south. Tocantins, with a population of 1.5 million, has an agricultural production limited to about 4.5 million tons of various grains, but the state of Goiás, population 6.8 million, recorded a harvest this year of almost 22 million tons, according to the National Supply Company (Conab) attached to the Ministry of Agriculture. 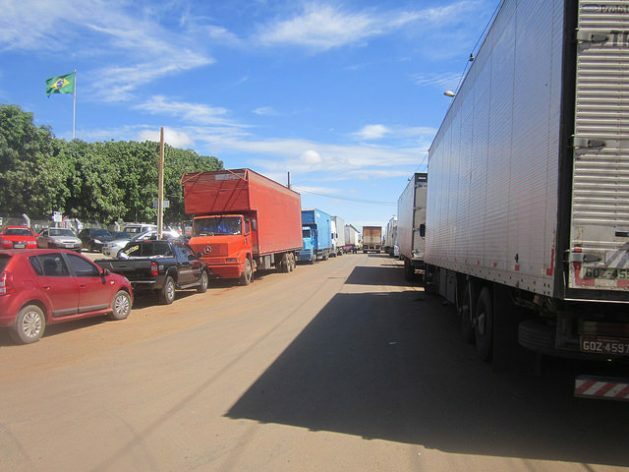 The idea behind the FNS is to create loading and unloading terminals throughout Goiás, especially in Anápolis due to the importance of industry there, and to attract productive investments as well. But that is where rail transport runs into obstacles. The city and state of Goiás is more integrated with the economy of the Brazilian Southeast, more developed and closer to the port of Santos, more than 1,000 kilometers away by road, than with the northern ports, which are all at least 1,600 km away. As a railway without an outlet to the sea, but with an “extensive area of influence”, the North-South railway, and the Brazilian rail system in general, need three conditions to operate satisfactorily, according to José Carlos Medaglia, CEO of the Planning and Logistics Company, attached to the Transport Ministry. “The right of passage”, which allows logistics operators and a railroad concession company to transport cargo by rail from another company, is already legal but has to be fulfilled in practice, that is the first requirement, Medaglia told IPS. To be effective, the railways must also have “surplus”transport capacity to provide to third parties, and standardised operation, with rails, equipment, personnel and other uniform technical requirements, of the same level of quality and training, so that they can operate on the railways of other companies, he said. “All that was unimaginable in the past in Brazil”, which has a tradition of a “vertical” railway system, where the company that holds the concession for the infrastructure is its only operator. This does not prevent competition, said Medaglia, who added that what is needed in any case is “good regulation,” to enforce the right of passage, and investments to expand capacity and modernise the system. This can be achieved by negotiating with the country’s five railway networks new operating conditions to extend their concessions that will expire in the coming years.